It was mentioned in this SBS article that "the Chinese Communist Party are actively restricting free speech in Australia. " As a matter of fact, the Chinese Communist Party (CCP) not only "restrict" free speech, but also actively spread vicious lies. And here is just one example. Once I was on a train to the city. 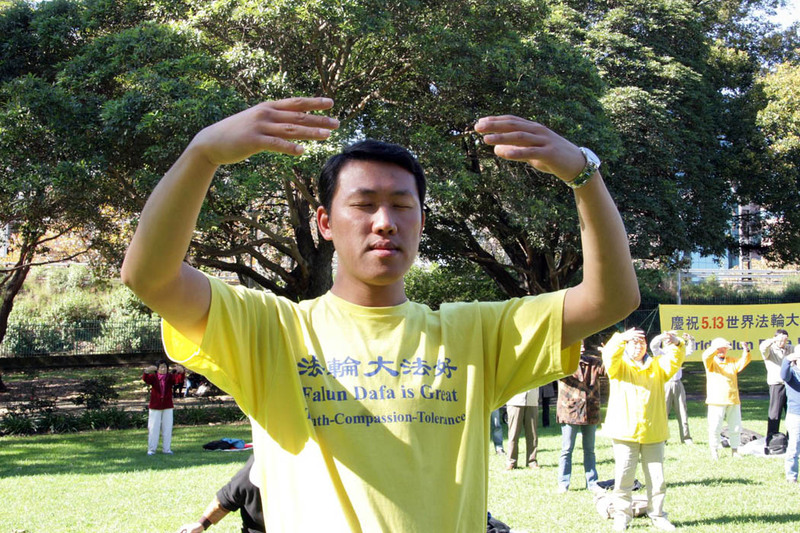 While the train was passing the Belmore Park near the Central railway station of Sydney, several Falun Gong practitioners could be seen doing exercises on the grassland. A young girl, who sat opposite to me with her mother and aunt, who obviously had just come to Australia to visit, said to her mum and aunt, "See these Falun Gong practitioners? They get paid $100 per day for doing the exercises here. " Upon hearing this, I didn''t know whether I should laugh or cry. As a veteran Falun Gong practitioner, I knew too well that Falun Gong does not charge money or pays anybody for anything, everything is free, whilst every activity is done out of free will of Falun Gong practitioners without any money issue involved. Feeling a little bit insulted and hurt, I asked that girl, "Who told you that they get paid $100? How about you take your mother and aunt there, and ask to join them to see if you can earn $100?" Then I went on to tell them about the persecution I suffered back in China for practicing Falun Gong, and that everything with Falun Gong is free of charge, and no money is involved, etc. In the end, the girl murmured in a somewhat apologetic manner, "Well, all the Chinese people in Sydney are saying this. We were told by the Chinese consulate that your guys get paid..."
When people hear lies about this, they don''t have time to do some simple math. Falun Gong has now been spread to more than 100 countries. In many big or small cities, people can see Falun Gong practitioners in parks and tourist sites, or in front of Chinese Consulates to either do the exercises, hand out materials to expose Chinese Communist Party''s persecution of Falun Gong, to let people know Falun Gong''s health benefits, or to help Chinese people see the evil nature of the Chinese Communist Party so that they can choose to quit it, etc. 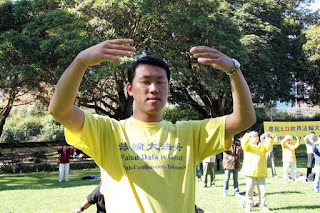 Suppose in the 100+ countries, each country has only 100 Falun Gong practitioners doing these. If they get paid $100 per day, in the past 18 years, since the persecution of Falun Gong started in 1999, the total money spent on paying these people would be 100*100*100*365*18=6.57 billion dollars. Who would be able to pay such a huge amount? Sometimes the CCP also says that the US government or Taiwanese government is paying Falun Gong, and many people in China or coming from China would willingly believe this. Have we ever seen in the US or Taiwanese budget that such a huge amount of money was paid to Falun Gong? Definitely not. People living in a democratic country are very easy to understand that budgets must be approved by the Congress, and such huge expenditures cannot be hidden. However, for people coming from China, where the Party in power can spend money at will without telling the taxpayers how their tax dollars are spent, this kind of stupid but evil lies are still poisoning them. Suppose I had not sat opposite to that girl and her mother and aunt, wouldn''t they still be believing that Falun Gong practitioners doing the exercises in the parks were paid $100 every day?